We designed Track Runner with the runner in mind first and foremost. 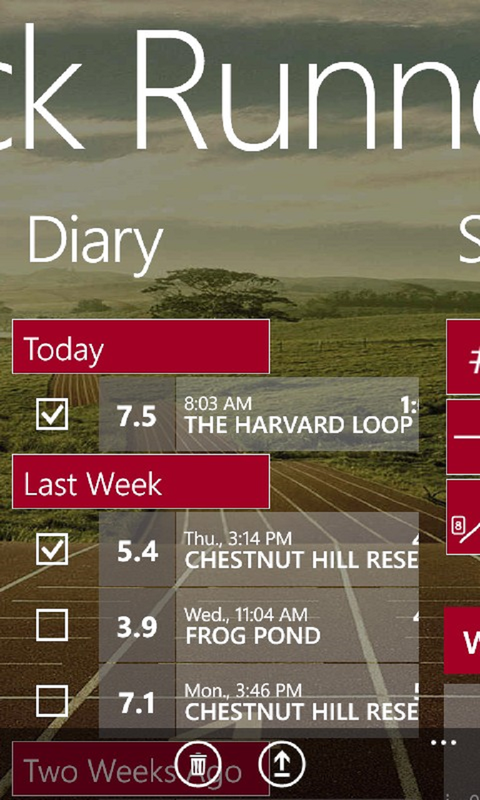 After all, we are just a bunch of running enthusiasts, unsatisfied with the other running apps for Windows Phone which are either inaccurate, lack meaningful statistics, or are complicated to use and not pleasing to look at. 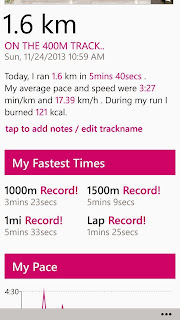 Making Track Runner display highly accurate data and superior statistics while keeping user intervention to a minimum so the app would be effortless to use, meant a lot of behind the scenes puzzling and maths magic doing. And we are pleased to say it works and does well what it says on the tin. #1: You've just run a 10K race and pushed hard. Congratulation - months and months of training paid off! While your friends were sitting at home watching TV, you were focused on your long run, building endurance for race day. Now in your post-race glee you're wondering how exactly you performed. 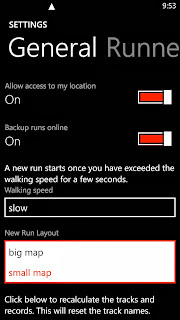 Unfortunately, most running apps for Windows Phone don't compute records correctly. 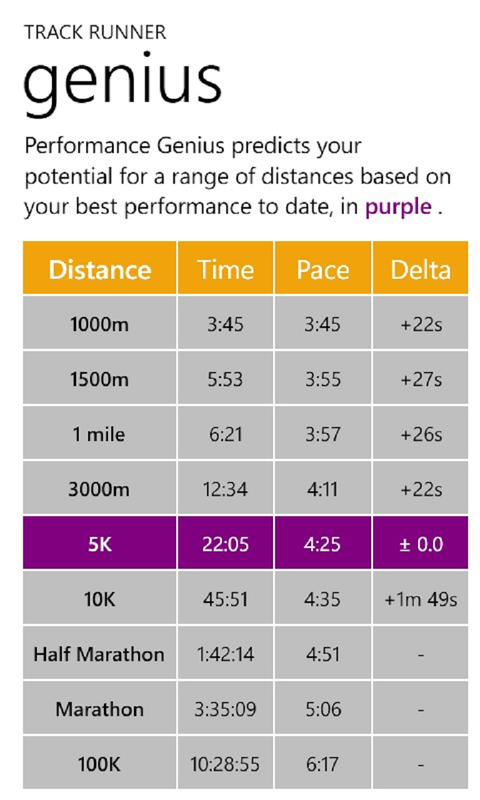 Even if they have a record feature, they are not smart enough to actually find your fastest distance and they mess up your record by counting your warm-up before the race or you celebrating afterwards. This won't happen with Track Runner! 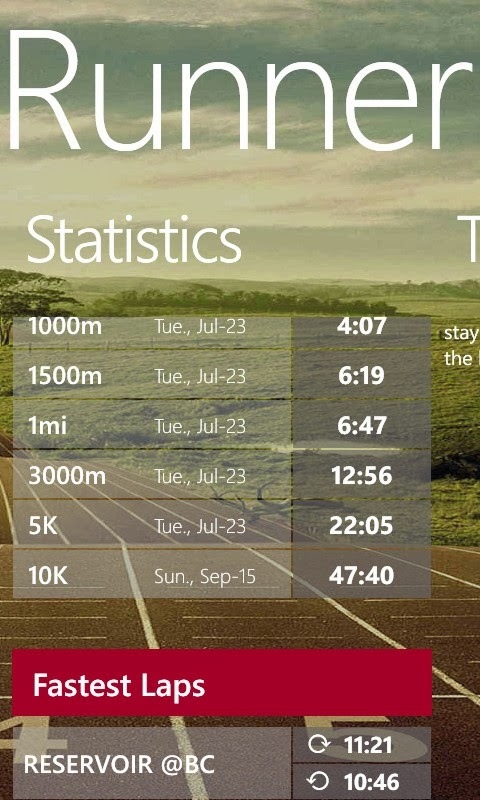 Now, we do have one confession to make - like a lot of runners, sometimes we get a bit obsessed with statistics. We care whether our 5K time is 19:57 or 20:13. 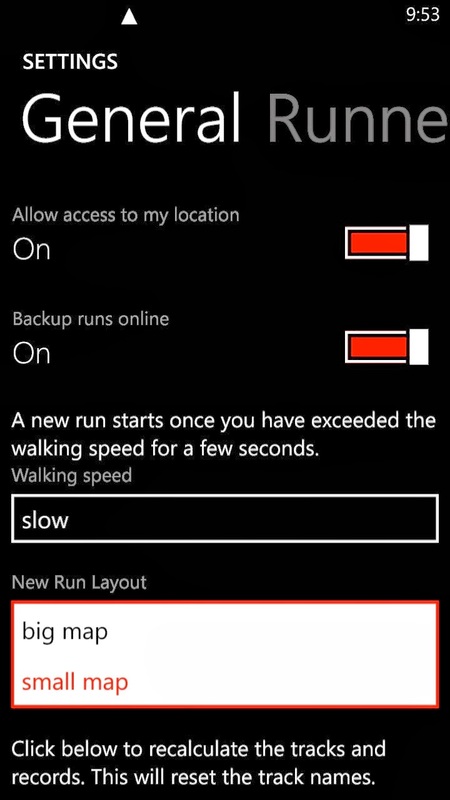 And we wanted a running app that is smart enough to see the difference. That's why Track Runner features a really clever algorithm to find your fastest distance by scanning your run and identifying your fastest connected sequence of coordinates. 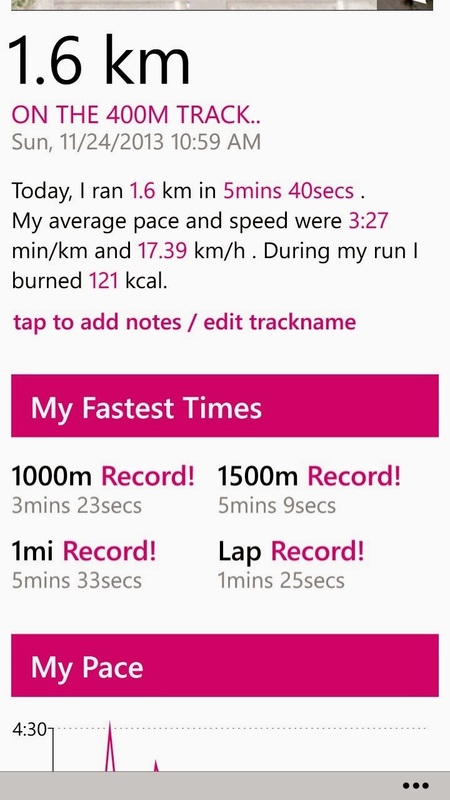 So, why not give Track Runner a go and see how fast you really run? It's available with a free trial from the Windows Phone store. 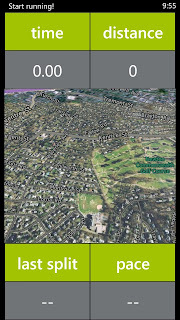 Download it here: http://www.windowsphone.com/s?appid=95c6a10c-84a7-4c26-98eb-5d6b9df93698 . So, it's Thanksgiving and you are so stuffed with turkey you need extra motivation to move again? 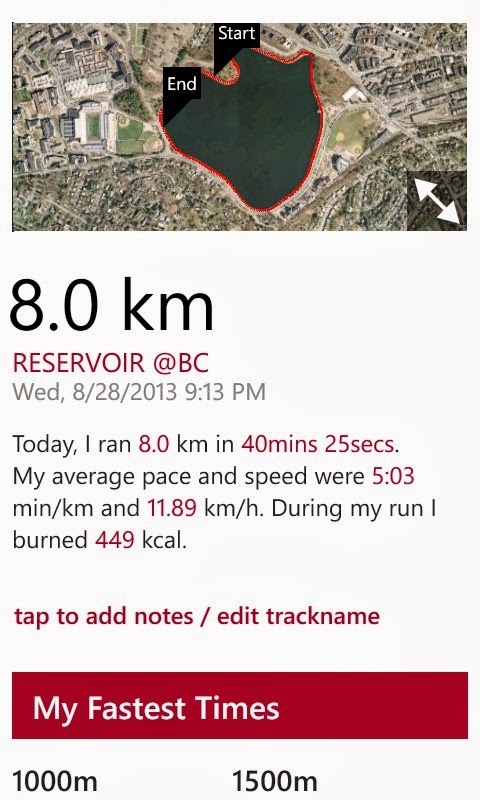 Track Runner is a Windows Phone 8 exclusive running app that uses clever GPS algorithms to track every step of your run. 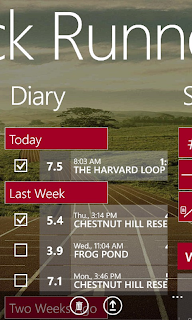 With a customizable diary and detailed statistics and records, Track Runner is the perfect training tool. 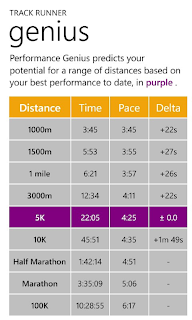 Unique features include automatic track and lap recognition as well as the performance genius which predicts your potential times for a range of popular race distances based on your personal record. 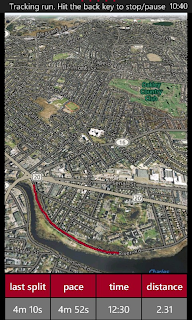 The GPX import function makes switching to Track Runner easy and should you forget to take your phone on the run one day, you can simply add your run to the diary manually. 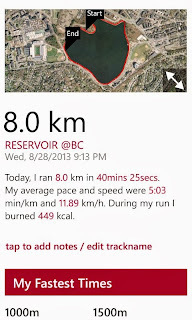 This beautiful and easy to use app will make you one happy runner. And thanks to its incredibly accurate calories counter developed by physiologists at Stanford University, you know exactly when you've burned that third helping of pumpkin pie. So, on your marks, get set, DOWNLOAD! Last week, we gave Track Runner a good overhaul including countless bug fixes, and implementation of great new features and now it's time to brag about it here. Social network sharing as well as GPX import/export are now integrated. You can share a new best on Twitter, Facebook etc. 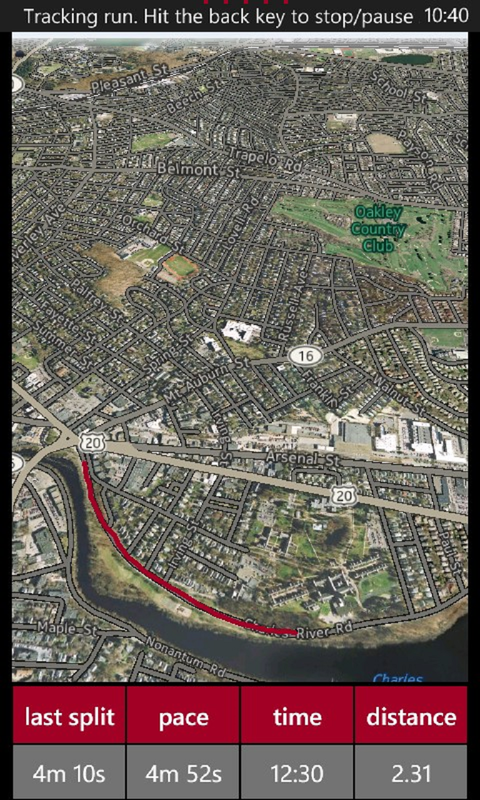 Track Runner lets you import your GPX files from other running apps or email yourself (or others) GPX files of your Track Runner runs. We also included Performance Genius, a performance prediction tool based on your current record (in purple) which uses Greg McMillan's method of estimating optimal performance. What's up with all that purple? Find out in our new help/f.a.q. section. 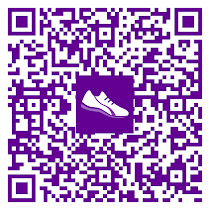 You can still sign up to beta test Track Runner. Simply send us an email including your Microsoft Account email address to beta testing@theappcauldron.com to join the beta tester ranks. As usual, we appreciate any pointers to bugs, general feedback, appreciation or even venting. And last but not least: *drumroll* Release: We have just submitted the release for screening and publication. It will be in store with a free 6-run trial. The app will cost 0.99$ on the first day of release and $1.99 thereafter. We have tons of plans and there will be some pretty awesome features in the next updates... If you love our app and would like to give us good feedback, doing so once the release version is published will greatly help our cause. If you dislike the app, are experiencing problems or have any other concerns, please contact us and we will do our best to work things out. Our developers have been hard at work improving Track Runner and it runs nice and smoothly now. 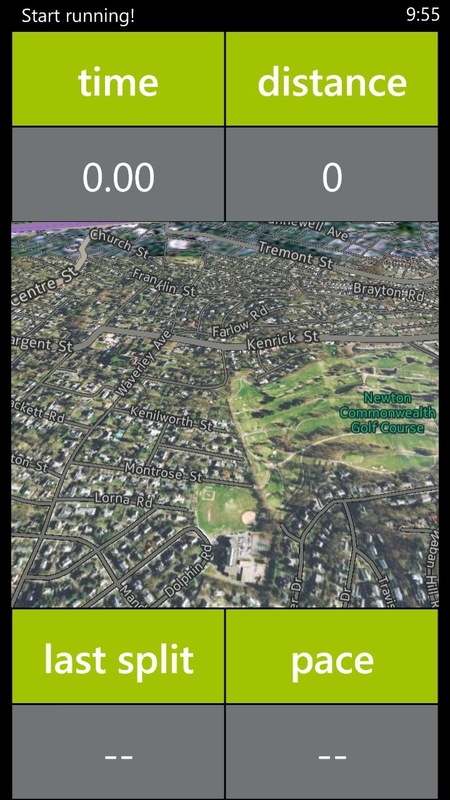 We fixed plenty of bugs and added a new mode of displaying map versus running stats during the run. You can find it in the general settings. Have a go both ways and let us know which one you prefer. Another juicy feature is planned to be implemented *soon* so keep checking and tracking those runs. Also, to those who haven't signed up yet, have a look at this. To join the beta tester pool party, just "rsvp" to betatesting@theappcauldron.com, sending us your MS account email address. Can't wait to see you all aboard. All the app building and tweaking got our creative juices flowing and we are looking much forward to realizing a few of our new app ideas in the coming weeks and months. Let's just say the Cauldron will be in its prime! Excited? And so you should be! In the hopes you enjoy Track Runner despite the chillier temperatures we wish you happy running.